Caregiver in Waikiki HI: Dealing with low vision as they age can be frustrating and upsetting to your aging parents, but it can also put them in dangerous situations. As a family caregiver, you can help your aging loved one reduce the negative impact of low vision in their lives by encouraging them to use their vision corrective devices consistently. Caregiver in Kahala HI: The number of seniors living to the age of 100 is surprising. It’s a goal your mom can achieve to reach. With routine medical care, a healthy diet, regular exercise, and a positive mental outlook, anything is possible. Senior Care in Hawaii Kai HI: Driving is an important skill and something that most adults value as part of their independence and their ability to control their own lives. This skill enables them to go where they need and want to go when it is right for them rather than having to wait for others to help them. By Jermie Chadwick, CEO	| Dec 21, 2017	| Comments Off on What is Mindful Eating? How Can Home Care Help Your Senior Establish and Follow Through with a Germ Control Approach? 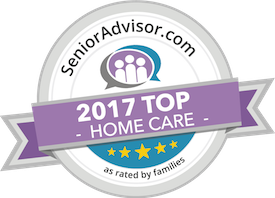 By Jermie Chadwick, CEO	| Dec 15, 2017	| Comments Off on How Can Home Care Help Your Senior Establish and Follow Through with a Germ Control Approach? Home Care Services in Oahu HI: Keeping your parent healthy is an important part of being a family caregiver at any time of the year, but it takes on added importance during the months when illness and infection are most common, such as the fall and winter months, also known as cold and flu season. Elderly Care in Hawaii Kai HI: People in the baby boomer generation are at an increased risk for hepatitis C, commonly called hep C. Hep C is a liver disease that is transmitted through the blood. Baby boomers are at a higher risk because hep C was at its peak for transmission between 1960 and 1980. By Jermie Chadwick, CEO	| Nov 29, 2017	| Comments Off on When Is it Time to See a Doctor for Arthritis Pain? Elder Care in Kahala HI: Many people experience some joint pain as they age. The Mayo Clinic says that it is pretty rare for joint pain to be a cause for emergency treatment. In fact, most of the time joint pain can be managed at home. Home Care Services in Honolulu HI: November is National Long-Term Care Awareness Month. Everyone wants to think of their parents as being capable and healthy. Things can happen that make long-term care a necessity. By Jermie Chadwick, CEO	| Nov 17, 2017	| Comments Off on Can You Change Your Senior’s Mind if She’s Not Happy about Having Help?